This is a cushion I created from a pattern from the book called, "Crewel Twists", by Hazel Blomkamp. I love cream & gold! It always looks very rich. 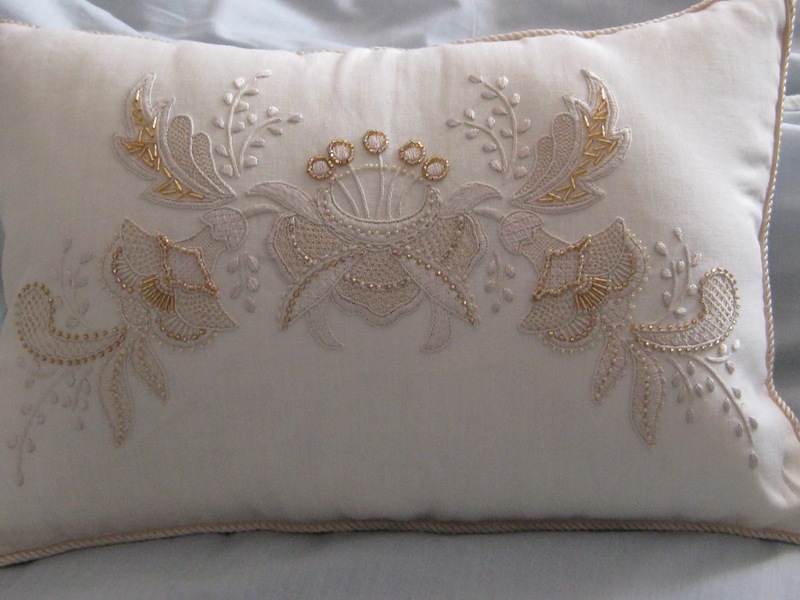 The cushion was made to compliment my brass bedhead in the same colours. 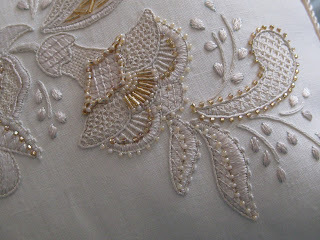 The stitches used are different from the usual crewel stitches hence the 'twist'. 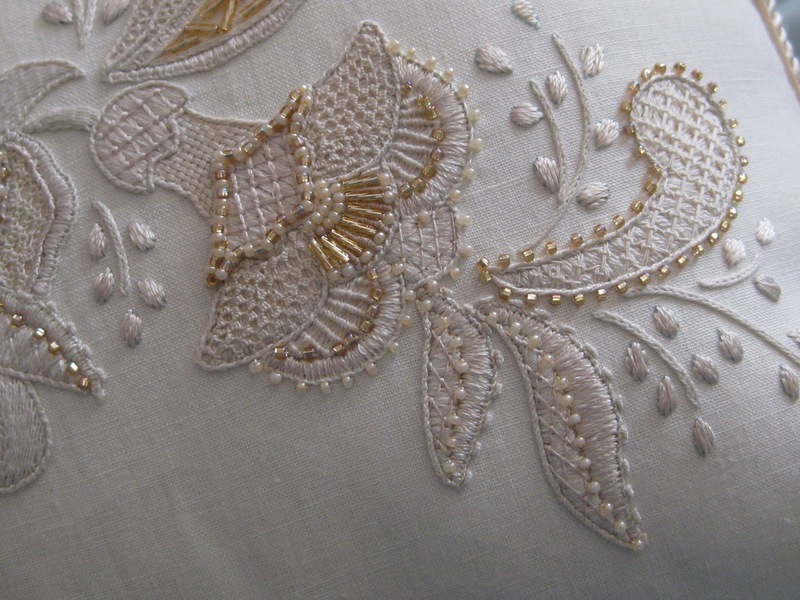 There are various threads used, some dull, some shiny trimmed with twisted bugles, gold & cream beads. This is a beautiful cushion sallyann I love the colours. I must look just gorgeous on your be. I must learn how to do this! gorgeous colours and beautiful pattern.